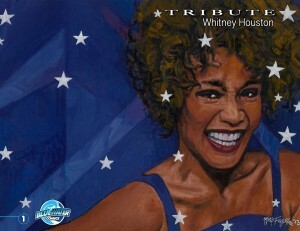 In what would have been the superstars 50th birthday this year, Bluewater Productions is publishing a comic book about her life in “Tribute: Whitney Houston”. The 32-page comic book released this week, is written by Raphael Moran and drawn by Kirk Feretzanis with a cover by famed artist Neil Feigeles. 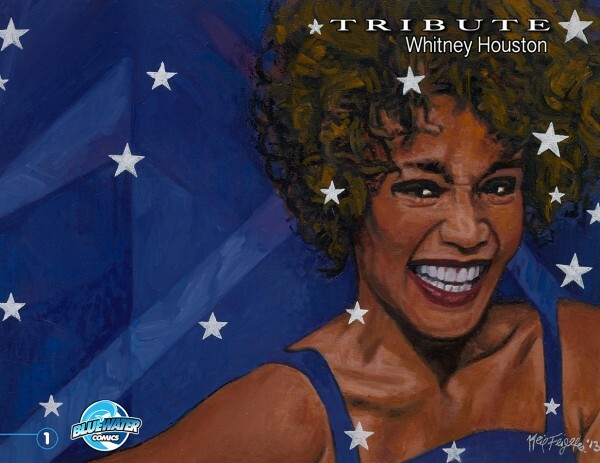 “While doing research on this book, I found it a pleasure to discover what a Power Force Whitney Houston was.” said comic book artist Kirk Feretzanis. Interviews and PDF Review copies are available upon request. Please feel free to use the cover image & pages for your publication. This entry was posted in Columns and tagged alternative comics, bluewater productions, female force, indie comics, tribute comics, Whitney Houston. Bookmark the permalink. Follow any comments here with the RSS feed for this post. Post a comment or leave a trackback: Trackback URL.